Yep! Hayley does have the dream job of buying and playing with sparkly gemstones all day long. 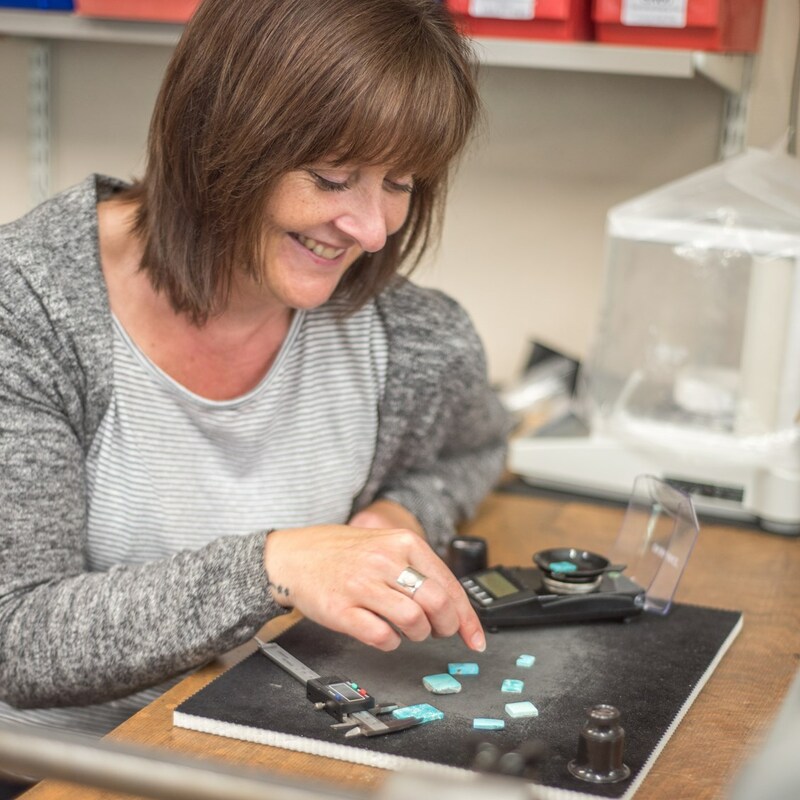 As a jeweller herself and all-round crafter, we feel lucky to have Hayley as part of our team with her exceptional knowledge and understanding of the needs of our customers - plus she's an amazing multi-tasker which is an essential for a Buyer. We hope you enjoy this interview and do let us know if you want to see more. Meet the rest of the Kernowcraft team here and if you have a question, feel free to get in touch. "We’ve been working with some of our suppliers for a really long time so I feel that I can call them our friends..."
1. As Kernowcraft’s Buyer, what does a typical day look like for you? No day is the same for me, there are so many different aspects to my job role that each day will be different. It is mainly dictated by stock deliveries and general stock enquiries from the sales team and our customers. Typically, each day starts with answering emails and these can be from suppliers, the sales team, accounts, the boss and occasionally customers. Once they are dealt with, I will then continue to manage the stock. We have over 4,000 jewellery supplies available to buy at Kernowcraft and I am responsible for making sure that they are available to purchase on our website. This covers ordering and receiving daily deliveries, including quality checking. I continuously maintain our system stock levels, add new descriptions and products to our website, work on costings, review current stock, liaise with sales, and identify future promotional lines for marketing. 2. What’s your favourite snack at the desk? Anything that Elaine, our Sales Manager bakes but I am partial to sharing a sharing bag of crisp with myself! 3. What is it like working with suppliers we have used for decades? We’ve been working with some of our suppliers for a really long time so I feel that I can call them our friends. They have an excellent concept of our ethical policies, what we stand for and how important it is that we supply our own customers with high quality products. This understanding and knowledge that they have of our company is priceless for business to business connections. 4. What is the soundtrack to your day right now? "Always keep an eye on Just Arrived and sign up to our newsletters for the latest newbies. You won't want to miss them, especially when we receive a new collection of limited edition stones as they're not usually around for long!" 5. What are the most important factors you take into consideration when using a new supplier? 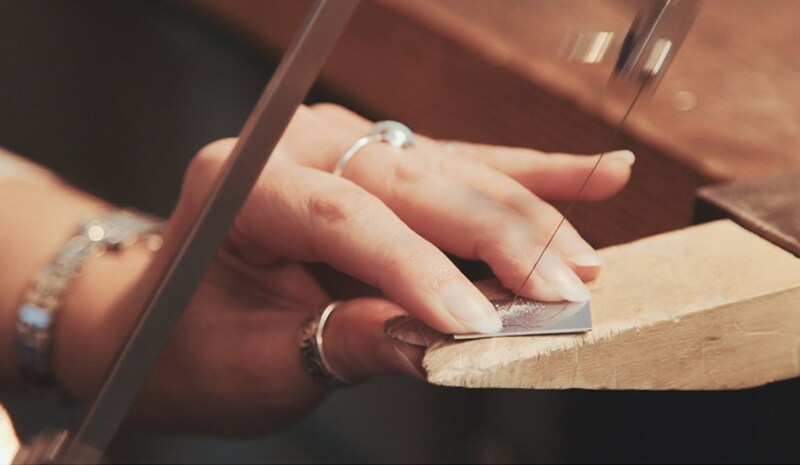 At Kernowcraft we share our customer concerns about ethically produced products and we do our utmost to ensure that the products we supply come from trusted and ethical suppliers. We are lucky to have long-standing relationships with most of our suppliers and have received assurances that they treat their workers fairly - providing a safe workplace, access to health care and a fair wage. All of our stones are absolutely genuine semi-precious or precious gemstones and are tested by ourselves but not certificated. 6. What’s one product on our website you think is underrated? Everything in our metal clay range! The possibilities are endless when it comes to using this magical clay. It can be moulded, sculpted and formed just like modelling clay and can be fired to transform it into 99.9% pure silver. It's all about using your imagination to create something truly special. We have leaflet you can purchased alongside your supplies to help guide you, or take a look at our metal clay tutorials to get started. 7. What’s your favourite gemstone right now? Sunstone, mainly faceted as it twinkles in the light! 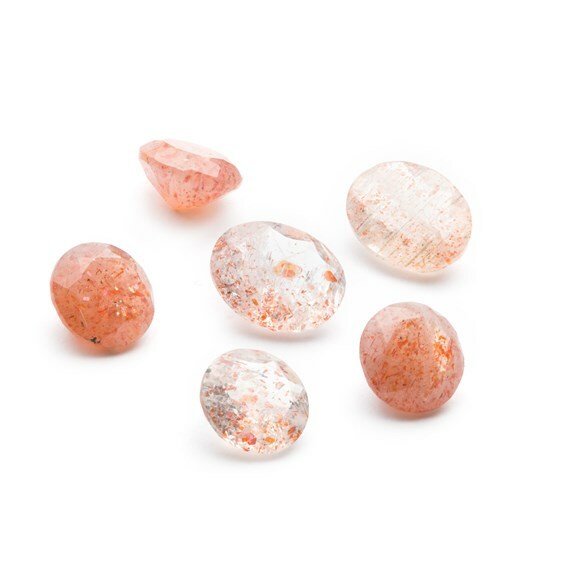 We have a stunning range of sunstone gemstones including our regular stock sunstone cabochons in a range of sizes and we often have limited edition faceted stones and beads too! I just love how sunstone looks like it's filled with warm golden glitter. 8. How did you first discover jewellery making? I wanted to do an evening class at college and had already started beading so it was a natural decision to progress onto making silver jewellery. Once I made a very untidy, unattractive wonky copper ring I was hooked. I then developed my skills at workshops and more evening classes plus YouTube has some great videos on pretty much everything linked to jewellery making. A few favourite jewellery making YouTubers of mine are Nancy Hamilton, Soham Harrison, Ricky Frank for enamelling, Andrew Berry At The Bench, The London Jewellery School & Jewellers Academy. I also have a big book collection on a variety of arts and crafts including jewellery making. Currently, I am just about to complete a 1 1/2 year mentoring program (funded by Cultivator Cornwall) learning a massive amount of techniques and processes plus a variety of stone settings i.e. flush, claw, rub over, pave and tube. I feel that I could have only of learnt these with one-to-one teaching from an experienced jeweller and I am very grateful to have been able to mentor under one of the best! 9. Tell us more about your designs and the inspiration behind them? Anyone that knows me may realise that I might have an obsession with things being neat and tidy. However, some of my jewellery makes are more free and rustic in design and I really like this. My jewellery designs that I have worked on through my mentoring program are definitely more minimal and clean in design and this style has been valuable to learn, as hopefully now I have the knowledge to create both styles of work. Being Cornish and knowing how lucky I am to live in one of the loveliest counties, I can't help but think that I will always be inspired by Cornwall's natural rugged beauty. 10. How often is Kernowcraft updated with new products? It’s an on going process, there are always new and exciting products to add to the website. Always keep an eye on Just Arrived and sign up to our newsletters for the latest newbies. You won't want to miss them, especially when we receive a new collection of limited edition stones as they're not usually around for long! 11. What’s your favourite thing to do a shopping spree on? I love to shop for jewellery tools and unique limited edition stones! 12. We are known for our incredible Australian Boulder Opals, tell us more about the relationship we have with the supplier! 13. If a customer asks for a specific stone or size, can you source this for them? Not always but it's always worth asking. 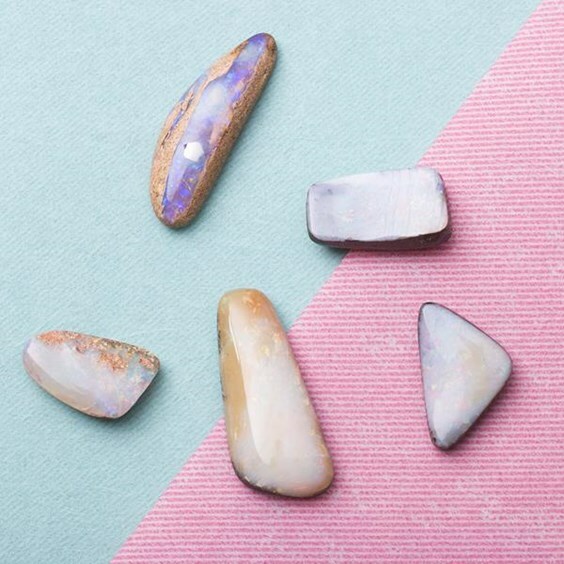 I do regularly get asked to source specific stones and most of the time I’m successful but there are times when I’ve exhausted all of my options and unfortunately can't meet their request. "We always try to go above and beyond for our customers..."
14. We pride ourselves on high quality products, how do you ensure this? It's all about building great relationships with our suppliers, requesting samples and doing our own tests in our workshop to ensure they are up to standards for our customers. As a jeweller myself, this makes it easier to test items and understand what our customers may want or need from us. I spend a lot of time quality checking new arrivals and the rest of the Kernowcraft team are always checking stones and supplies while picking items, so we ensure our customers receive the best products. Not only do we offer high quality products, but we offer a high quality personal service too where our customers can write notes on their orders if they would like a particular colour stone or pattern. We always try to go above and beyond for our customers. 15. What is your favourite thing about working in Cornwall? I love the creative community within Cornwall. I feel so lucky to have a studio at Krowji, which is Cornwall's largest creative hub which I am so grateful for. Cornwall is such a beautiful county full of inspiration, fantastic artists and lots and lots of wide-open spaces to enjoy. 16. How do you keep up with current trends for new products? It's so important that we listen to the feedback from our customers, whether that's over the phone, on social media or reviews on our website. We love to ask our customers what they would like to see more of on our website, and always take their thoughts into consideration when sourcing new jewellery supplies and gemstones. The whole team is always on the look-out for new trends, whether that's on Pinterest, in magazines on Benchpeg. The Kernowcraft team are all experienced jewellers, so we also have a good understanding of what our customers may like to see.